Hello! My name is Bill Stephens – and I’m the General Manager of Cerritos INFINITI, your source for the best INFINITI cars in the greater Los Angeles area. As long as you’re here, though, I want to tell you about why I became an INFINITI car dealer and what it means for this area. As you may know, INFINITI isn’t just a brand – it’s a division, and specifically, it’s part of Nissan Motor Company. The reason for the difference in naming is simple: INFINITI is the luxury line of Nissan’s vehicles, and a step above every other vehicle they have to offer in terms of basic comfort and convenience. I believe that cars should be comfortable and fun to drive, no matter what use they’re actually being put towards. INFINITI is something truly special, with each car in the line designed specifically for power, performance, and a level of comfort that’s worthy of the name they bear. As part of our efforts as a luxury vehicle dealer, we’re determined to give you excellent service throughout your time as our customer. You’re buying a luxury vehicle, after all, so you deserve the best. Excellence comes in many forms – world-class mechanics, high-quality service, that nice little restaurant down the road, but in our dealership, we believe that having the highest ethical standards is a critical component of the service and support we offer. What does it mean to have a commitment to ethics? To us, it means treating you with honesty, helping you to understand every detail about any vehicle you’re looking to buy. It means treating you with integrity and standing by the promises we make, delivering on both the letter and the spirit of the agreements we make. It means treating you with respect at all times – no matter who you are, no matter what your history is, and no matter when you decided to come to our area. We want to help you find the vehicle that’s best for your lifestyle – and to be honest, there are a lot of choices! More than one visitor has driven out of our dealership with a completely different vehicle than the one they planned on buying, solely because they realized that their original choice wasn’t actually going to meet their needs as well as another vehicle could. We don’t want to sell you a vehicle that will frustrate you and fail to fulfill your needs. That’s why we’ll take the time to get to know you and help you find the vehicle that actually matches your lifestyle. Honesty, Integrity, and Respect. That’s our commitment to ethics, and something we practice every single day. As an INFINITI car dealer, you can rely on the fact that our selection is focused on luxury before you even come to the dealership – and like many locations, we have a wide selection of both new and used vehicles for you to choose from. It’s not just about selling what’s available, though, because we like to go a step beyond the basics. Alongside our commitment to ethics as an INFINITI car dealer, we believe in providing only the highest-quality vehicles. As a result, we’ve taken the step of certifying as many of our used cars as possible – it’s actually a rather rare event when we have something in our lot that hasn’t been certified! For you, this means that you’re looking at a vehicle that’s undergone a professional examination designed specifically to locate and fix any problems before you ever even take a look. So whether you’re buying something that just came into the lot or has been driving around for a while, you’ll know that this INFINITI car dealer is looking out for your best interests. 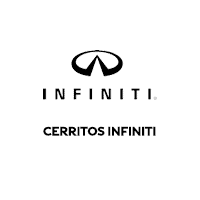 Thank you for your INFINITI dealership of Cerritos, and I hope we’ll be hearing from you soon. You can get in touch with our location by calling (888) 262-3167, and please let us know if there’s anything we can do to make your experience better! Purchasing a vehicle is a major decision, and we want you to be comfortable and confident with the decision you make.